It is the mission of the the North Providence Environmental Commission [NPEC] to improve our community by: helping to create a green infrastructure, spearheading environmental education, conserving our natural resources, involving neighborhoods in beautification and recycling efforts and helping residents to understand the value of a pleasant , healthy and beautiful place to live. Commitment to clean air, clean water, and clean streets; dedication to the preservation of open space and neighborhood beautification through public landscaping. In 1995 the Town issued a Tree Ordinance mandating the hiring of a Tree Warden (licensed arborist). The Ordinance outlined the Town’s commitment to the care and maintenance of trees on municipal property. 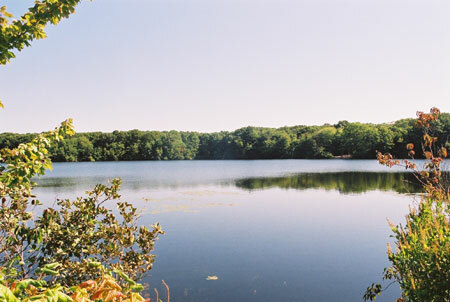 In 1997 the North Providence Environmental Commission was created. The intent was to create an urban forest and beautify the Town. During the past 10 years, the Commission has planted 400 trees in the community ranging from Mineral Spring Avenue to Smith Street and many places in between. Develop a well-managed urban forest master plan for North Providence. Besides their beauty, urban trees are beneficial to the environment. They are air filters and reduce airborne pollutants by absorbing carbon dioxide and releasing oxygen. Shade trees lower house temperatures in summer. Trees planted in Town will translate to cleaner air, softer winds, and more beautiful streets, which are the goals of the Commission. Flower planting at WWII monument in Centredale. The Asian longhorned beetle (ALB) is native to China and Korea. Adults are large (3/4 to 1 1/2 inches long) with very loncy black and while banded antennae. The body is glossy black with irregular white spots. ALB is a serious pest of maple trees and other hardwoods. Visit www.uvm.edu/albeetle for more information. As part of their dedication to the beautification of North Providence, on November 15, 2008 members of the North Providence Environmental Commission (NPEC) planted a dozen yellow forsythia bushes along Smithfield Road starting from the corner of Mineral Spring Avenue. The good sized plantings are expected to bloom next spring. Look for them when stopped at the traffic light at the junction of Smithfield and Mineral Spring. 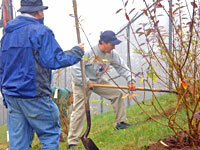 In the spring of 2009 and to complement the forsythia, the Commission planted flowering spiraea shrubs, (commonly known as bridal wreath). Including Green Ideas, Environmental News, Local Collection Events and more at OurEarth.org.